This model is light, sweat-proof, and uniquely designed to fit securely in your ear, so no more dislodged earbuds when I crank up the speed on the treadmill. Of course, they have other models (like wireless over-the-ear headphones or traditional wire headphones) to fit your lifestyle and needs. This is just the style I happened to pick. Let me tell you about the impeccable sound. It’s like a personalized concert in your ear — and that says a lot coming from the daughter of a musician! The sound is clear and well balanced. Unlike my experience with other earbuds, you can really crank up the volume without losing the quality of the sound. One of the best parts of the sound is the transparency. Even when the volume is on its highest level, I’m never startled or caught off guard when someone needs to get my attention. I can stay aware of my surroundings while staying in the zone. FINALLY, no more being scared half to death when a car zooms past me while running! But maybe the greatest part is I can transition from jamming out during my workout to having a crystal clear, hands-free, professional conversation via phone meeting. I can type, take notes and more while the person I am talking to can hear me as clearly as if I was speaking directly into my phone. 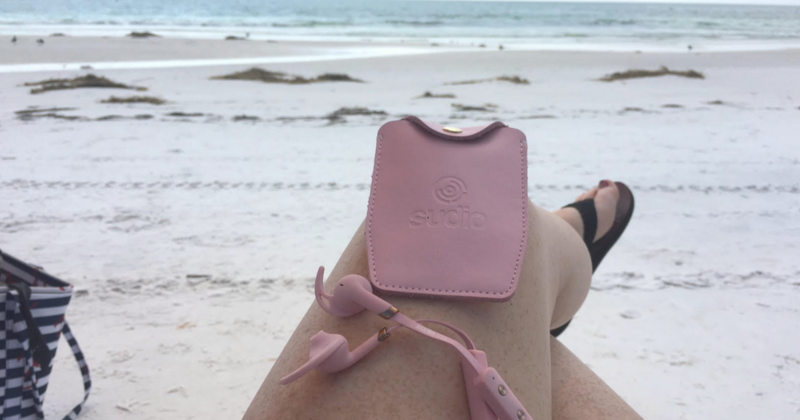 Not only do these earbuds produce an amazing sound, but they look fabulous at the same time – a combination that is hard to find these days! They have quite the philosophy on sound. I chose the pale pink color because they’re super cute and my son won’t steal them! (I know you can relate!) They also have other modern designs and matte finishes so you can choose the fashionable design that matches your unique style. The headphones even come with a handy, attractive leather case to keep my earbuds easy to find and secure in my purse. Another great feature: the battery life. These headphones have 9+ hours of active battery life, and 10 days of standby life, so you don’t have to constantly be charging these beauties. Sudio’s wireless over-the-ear headphones have an even longer battery life of 24+ hours. (PRAISE!) 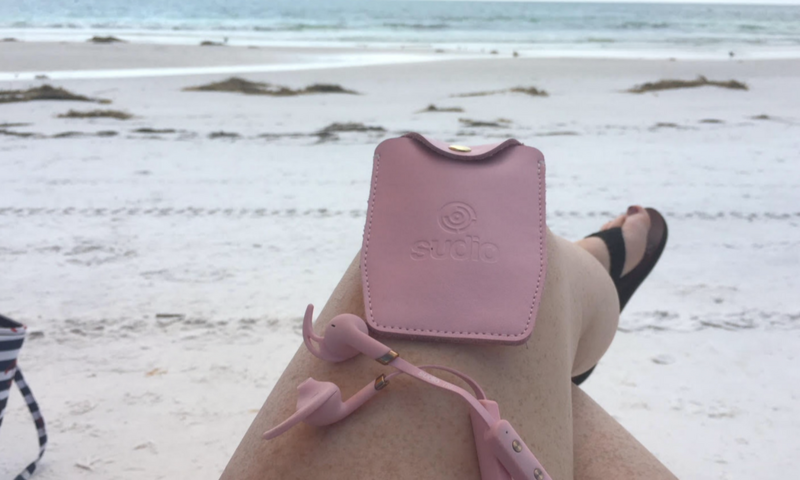 All of Sudio’s wireless headphones use a cutting edge Bluetooth 4.1 connection and have Siri voice control making the connection and use easy peasy. Did I tell you I really, really, really love these headphones?! 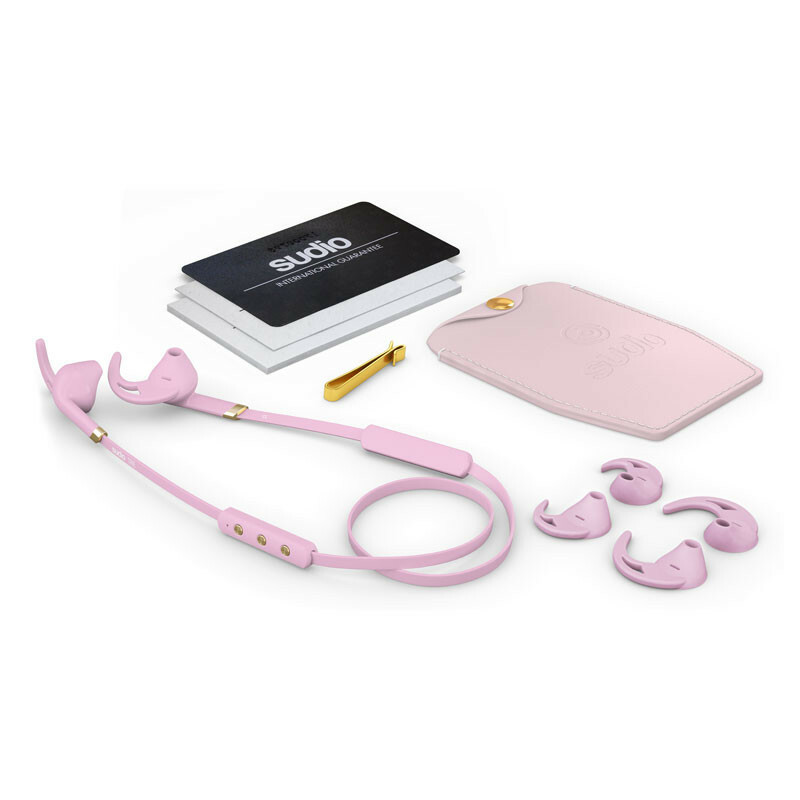 Order your pair of Sudio headphones and receive 15% off your purchase and FREE shipping with code BOMBSHELL15. Purchase your fabulous pair at www.sudiosweden.com.